I am making the most of the Indian Summer by continuing to ring birds each day. On the 29th we went to Durlston and had yet another successful day with 137 birds ringed, but again variety was low, during the first two hours we only ringed two species, Chiffchaff (103) and Blackcap (28), but towards the end six birds of a further four species were trapped. 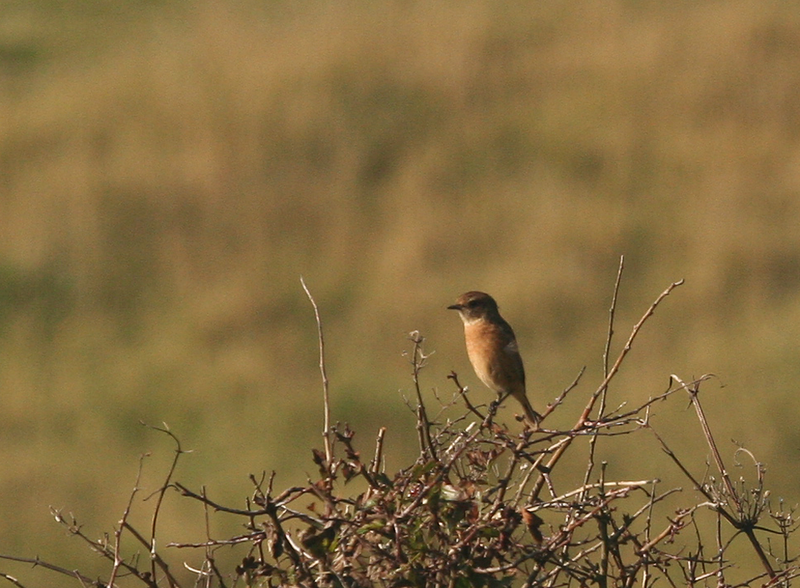 A Wryneck was briefly heard at dawn but searching drew a blank, after ringing Warren and I went looking for the Wryneck he saw yesterday but found only a Redstart and a Stonechat. 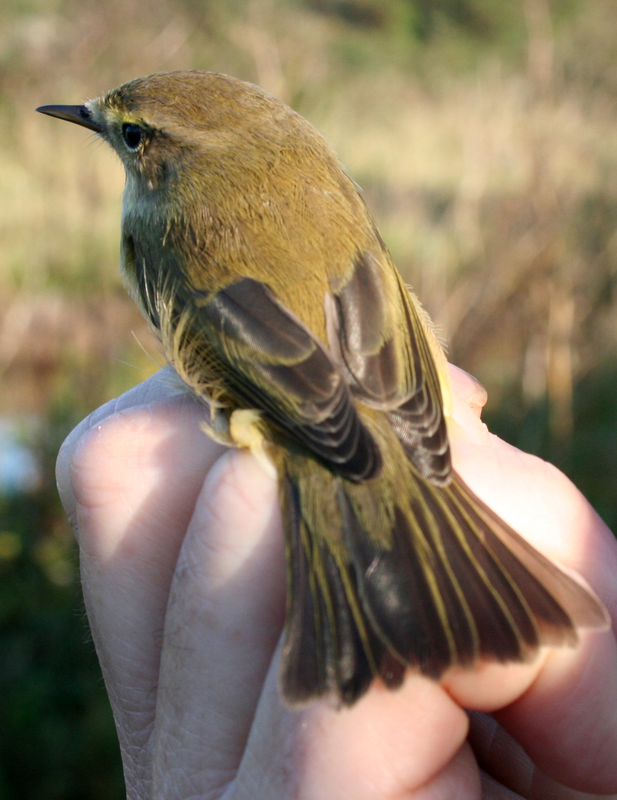 The most significant bird of the morning from a ringing perspective was a ‘control’ Chiffchaff i.e. a bird that has already been ringed by someone else. 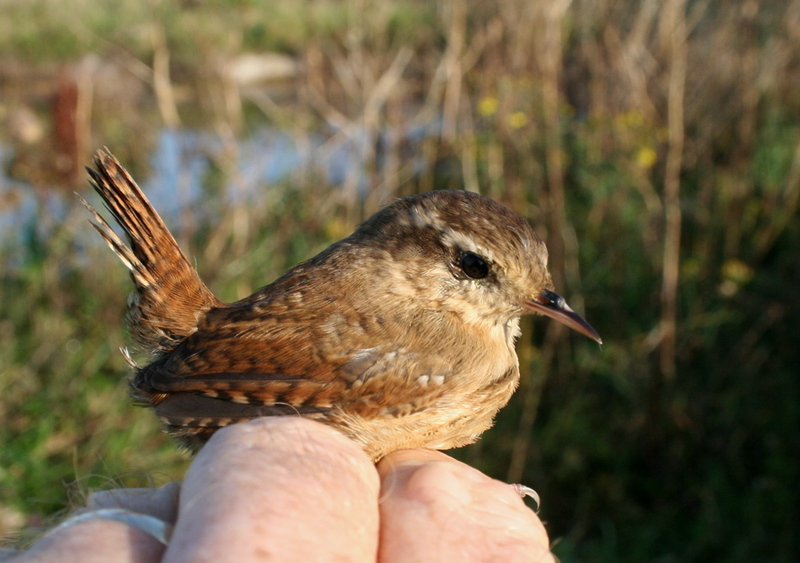 Only through this mark and recapture can most birds migrations be monitored. We wait with anticipation to learn where this Chiffchaff was ringed. 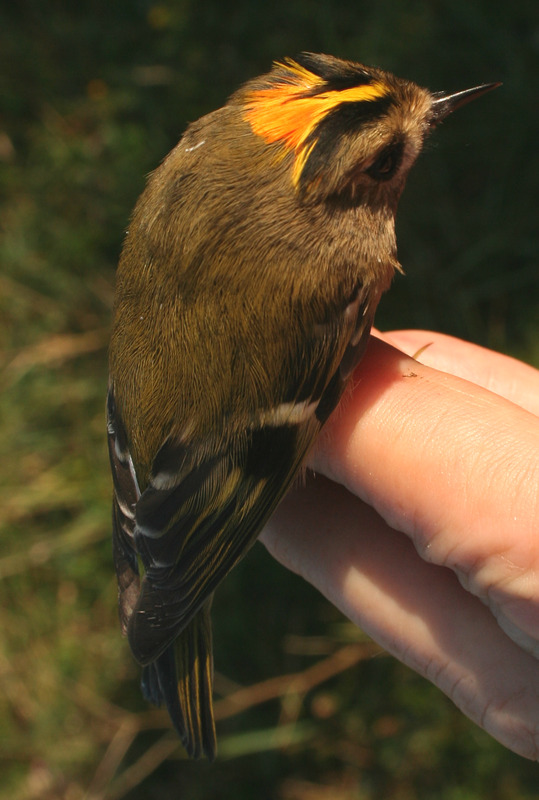 A male Goldcrest, one of the very few non Chiffs. Ali and I were ringing in the arable field at Lytchett Bay this morning but with limited success (17 new birds only). The Goldfinch flock seems to have moved on and there after a few clear nights long distance migrants seem to have departed. 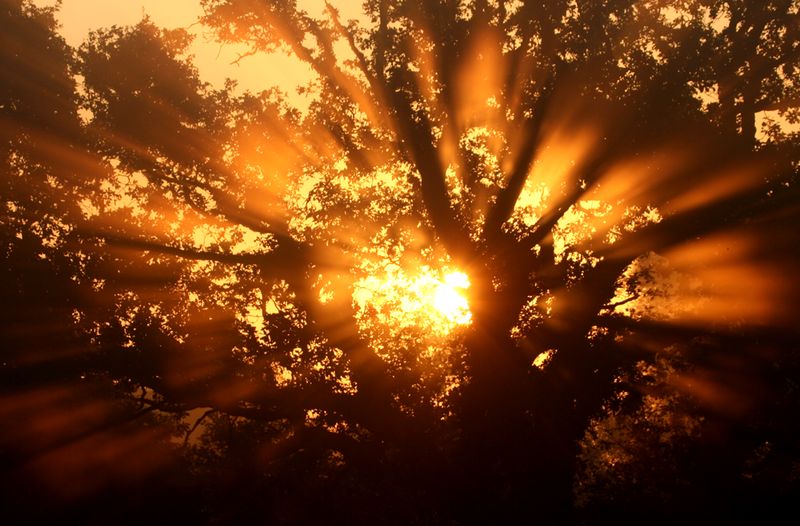 It was well worth getting up for the stunning dawn. ... you won't see sights like this!